And, if you need to catch up on your zzzz’s, you can read a copy of “Defend Trade Secrets Act of 2016” here. 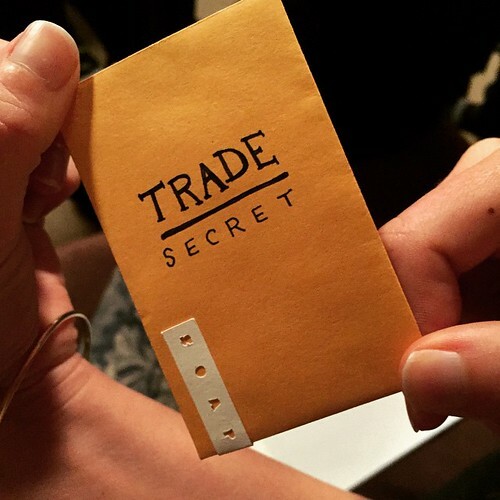 The workplace implications are simple: Companies can now sue employees in state or (for the first time) federal court for trade secret misappropriation. Now, to actually make this post worth your while, I’m going to remind you that there’s still time to enter my contest. One lucky reader will get my official copy of O’Connor’s Federal Employment Codes Plus 2015-2016 edition. And I will inscribe a personalized message in said book. In blue highlighter. Just email me by Friday, and I’ll select a winner at random. Image Credit: Benjamin Chun on Flickr.